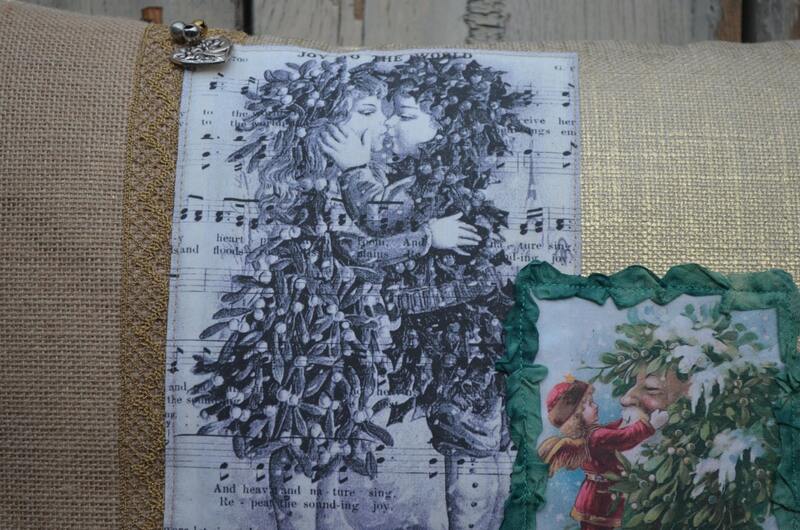 Our Christmas Kiss pillow is sure to invoke smiles on everyone's faces! This pillow is also one of our favorites! 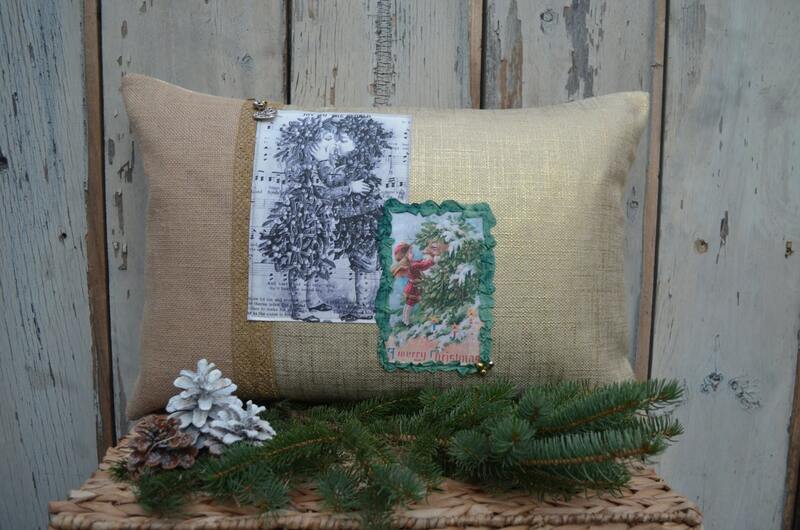 The pillow is double sided and is made from a cotton and linen blend fabric with a gold "wash" over it. It's very beautiful and textural. 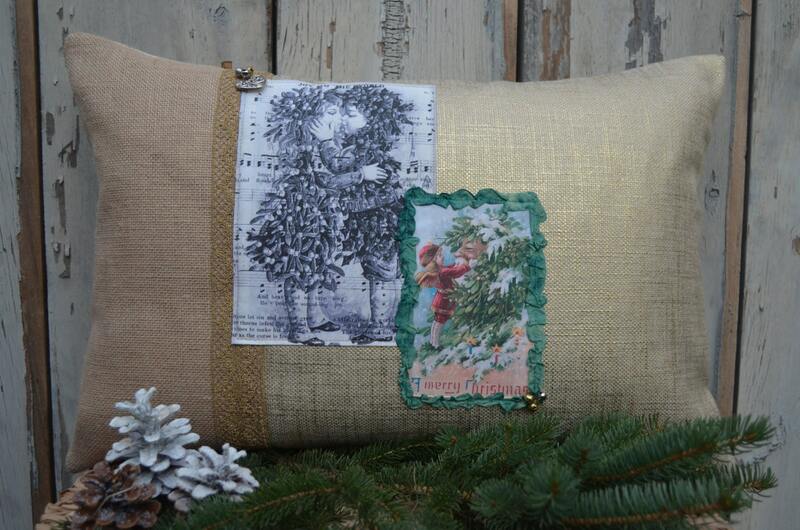 The front of the pillow is trimmed with burlap, a glittery ribbon trim, beautiful green seam binding, a silver tone heart charm and a few jingle bells. The pillow measures 23 1/2 inches long by 16 inches high and is closed at the bottom with a zipper. It includes a 95/5 feather/down insert.